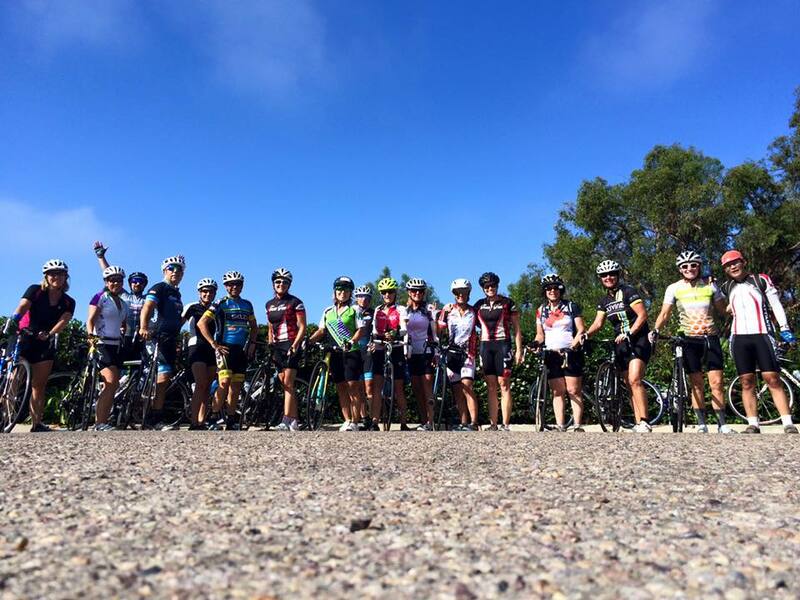 This week was our first advertised Friday Coffee Ride. My regular riding buddies and I have been doing Friday coffee rides on an almost every week basis now for what seems like years (although it’s probably been at most two years max), and I figured what was a good idea for us is probably a good idea for others. Advertising the ride as a casual pace is also an excellent way for my friends to reign in my tendency to become over-exuberant on coffee rides (especially post-coffee). 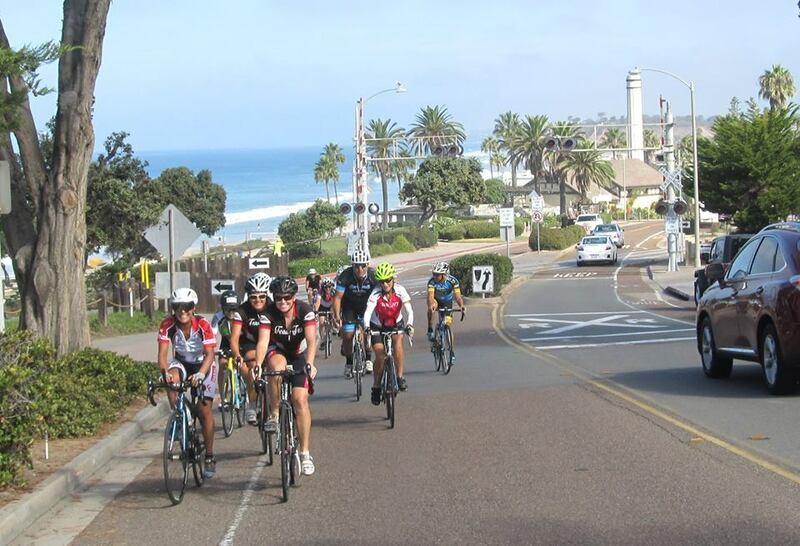 We had a great turnout this morning, with about 20 people in and out of the ride during our saunter south to our favorite turnaround spot in Del Mar (at the end of Stratford Court). The group was very congenial, although I had to do a little badgering to get them together for a group shot. They humored me (this time). Posing at Stratford Court, Del Mar, mid-ride. The pace averaged in the 14-16 mph range along the flat, coastal route – the perfect beginning to a (hopefully) cycling-filled weekend. Most people know the small Lofty on the west side of the coast highway. It seems like far fewer are aware of the much larger location, with lots of shady spots to sit, on the east side of the coast highway (directly across from the other location). I was impressed with the snack offerings, the speed of the caffeine delivery (even with the large group), and the quality of the coffee. I generally choose double espresso or short americano (black) to test out the quality of the coffee. This coffee was of perfect strength and had balanced flavor – strong enough to make me almost slightly nauseous for about an hour afterward (perfect). My croissant was light and flaky with an airy inside and a clear taste of butter. Large enough to share, or to indulge in after a week well spent. We spent a little over half an hour chatting and getting to know one another better before heading back to our meeting spot at Ralph’s off Avenida Encinas. If you weren’t able to make it this week, be sure to join us next Friday when we’ll be heading north to Oceanside. 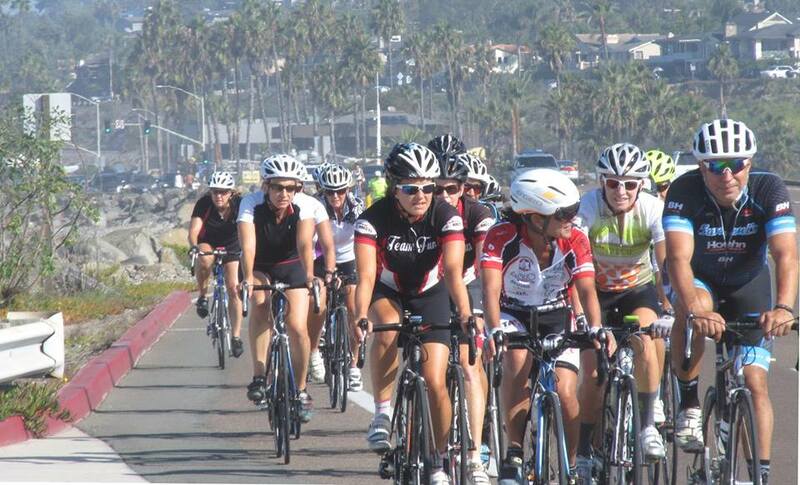 ← Sunday Margarita Ride, a new tradition?